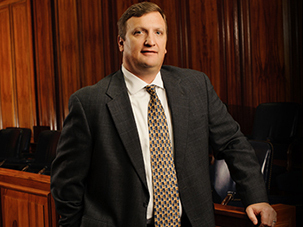 Derryberry Zips Wade Lawhorn, PLLC is a respected law firm advocating for clients in Personal Injury, Personal Injury Litigation and Auto Accidents cases. Based in Tyler, we are familiar with the courts throughout all of Texas. 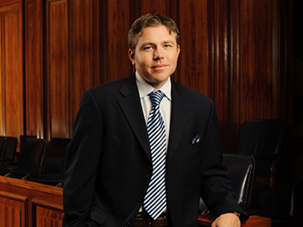 Our attorneys have the necessary skill to help you resolve your legal problem. We are focused on your success. Please read our profiles to learn more about our professional backgrounds. Personal Injury Litigation: Our dedicated attorneys represent injury victims, as well as defendant businesses, property owners, insurance companies, contractors, and healthcare providers in personal injury lawsuits. We have extensive experience handling personal injury litigation cases and we are determined to obtain justice for our clients. Auto Accidents: Every day, individuals suffer serious personal injuries in auto accidents caused by a careless or reckless driver. When an accident is caused by another driver’s negligence, the auto accident lawyers at Derryberry Zips Wade Lawhorn, PLLC can help you through the process and make sure that you obtain all of the benefits and money you are entitled to receive. Defective Medical Device Litigation: Medical device litigation is complex. Our experienced medical device litigators have the knowledge and skill to represent both plaintiffs and defendants in these cases. Motorcycle Accidents: Motorcycle accident injuries can be catastrophic, or even fatal. If you or a loved one has been involved in motorcycle accident, you need to be represented by an experienced and knowledgeable attorney. Trust us to guide you through the complex legal process. Premises Liability Litigation: Commercial and residential property owners are responsible for keeping their grounds in a safe condition. When they fail to do this, injuries can result. Our experienced attorneys have the knowledge and skill to represent victims and defend businesses in premises liability lawsuits. Products Liability Litigation: Products must be safe for their intended use. When a person using a product is injured, both sides need an attorney with knowledge of the law. Contact an experienced products liability attorney to help you defend your business or get the compensation you deserve. Slip and Fall Litigation: Slip and fall injury cases are complex and the outcome can turn on the smallest of details. Our experienced slip and fall accident litigators effectively represent both business owners seeking to avoid liability and injury victims pursuing compensation in premises liability cases. Trucking Accident Litigation: Trucking accident injury litigation is complex. Our trucking accident litigation attorneys have the knowledge and skills necessary to help you bring a claim or defend your business. We represent both trucking companies and Tyler accident victims. When you retain the services of Derryberry Zips Wade Lawhorn, PLLC, you can be assured that your attorney is fully qualified to take on your case. 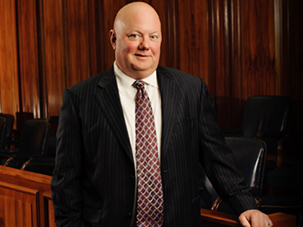 Derryberry Zips Wade Lawhorn, PLLC sees your case through from start to finish. Let our lawyers work with you to address your legal concerns. Our offices are conveniently located in Tyler. Call the firm at 903-508-2911 to arrange your consultation or contact the firm online. You can also visit our site at www.dzwlaw.com to see all of our Areas of Practice. Derryberry Zips Wade Lawhorn, PLLC is located in Tyler, TX and serves clients in and around Tyler, Troup, Whitehouse, Arp, Bullard and Smith County.